Before you even considered needing window shutter service, you invested in a protective shutter system to keep your facility and the items within safe. Your shutters gave you peace of mind and allowed you to finally rest knowing that you have done the best thing possible to protect your valuable property. Those strong shutter doors and windows act as a deterrent to most up to no good. And for the few that are persistent, the shutters prove their worth by standing up to serious physical attempts to damage or pry them open. You may also be in need of professional window shutter service work after violent weather has taken its toll. Security shutter owners in hurricane and tornado ravaged locations often find that heavy debris has been thrown at great speed into their window shutters. Repair is not just important for cosmetic reasons; a badly damaged shutter is now compromised. In this state, it may not perform as expected if a vandal does make an attempt to break and enter. Now things have changed and you are in need of a window shutter repair service that is as reliable as your shutters were. But where do you go? What is considered normal in terms of price? How fast can a roller shutter service technician get out your premises to begin doing work and get you back to the level of security you need? Is it possible to make some upgrades to your existing security shutters instead of replacing the entire installation? These window shutter service questions and more can be answered by contacting us by phone or filling out our contact form. Your hard earned property deserves to be taken care of by the best roller shutter system available. The responsibility of protecting one’s property does not end there; from time to time, all shutter door and window owners have to rely on a well trained and experienced door and window shutter repair service to keep their defenses working as intended. Let the experts at Roll-A-Shield perform the maintenance on your shutters. Nationwide, our window shutter service will have your shutters like new, keeping your property safe and secure. The window shutter service experts at Roll-A-Shield understand the needs of security shutter owners. 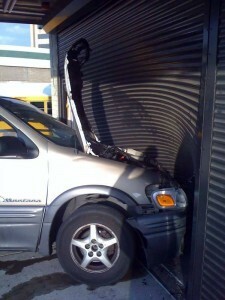 We are well trained and fully equipped to provide top flight shutter door service. We can service both shutters from our own fabricators and other manufacturers. Feel free to call us today if you need window shutter repair and/or shutter door service. We perform shutter door service and window shutter service for all makes of shutters. Whatever window or door shutter you have, we will do our best to service or fix the issue. Call our customer service line today at 480.921.0200 or fill out our contact form so we can assist you. Call us today at 480.921.0200 or fill out our contact form.